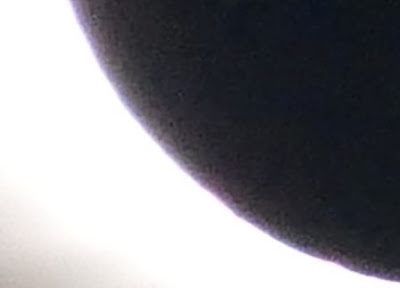 In looking closer at my eclipse photos I saw something interesting. During totality, the corona light seems to actually refract around the moon illuminating the surface features (craters). Cool.